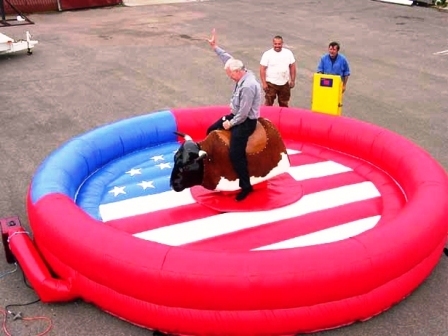 Celebration Authority’s Mechanical Bull Ride is a thrilling addition for your next event. 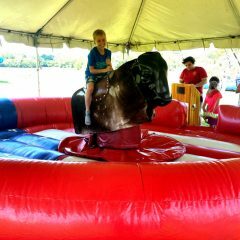 Bull Rides are a favorite at any party because of how immersive it is with large crowds of spectators and riders. Our professional operator can control the speed and movement of the ride to provide gentle rocking or provide full action speed. 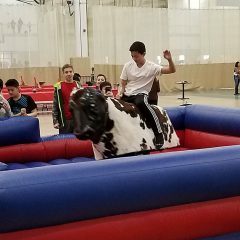 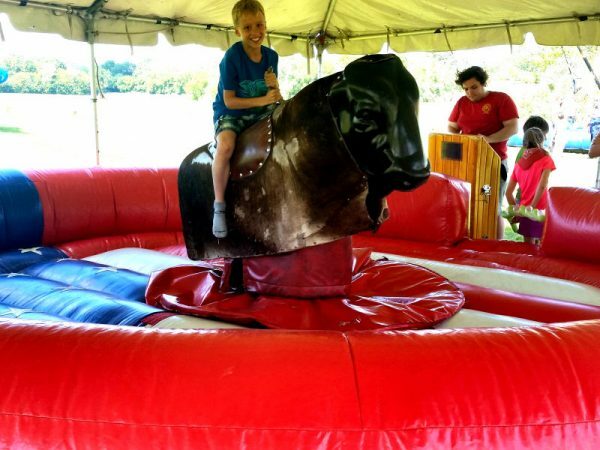 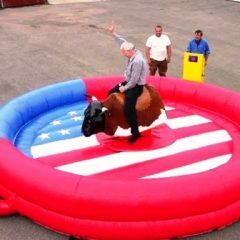 Included with the rental of the Mechanical Bull, is an inflatable air-mattress surrounding the entire bull, and an operator to control its speed. Get the whole crowd involved at your next event with Celebration Authority’s Mechanical Bull Ride. 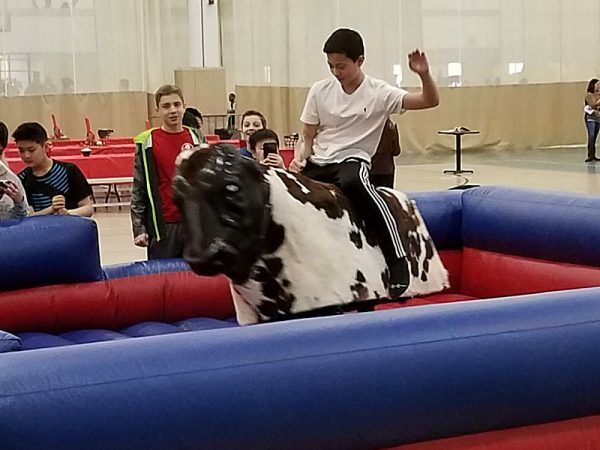 Celebration Authority’s Mechanical Bull Ride is a pro quality Mechanical Bull Ride Rental, perfect for Cowboy Themed Events, Old Western Themed Parties, Festivals, Concerts, Indoor/Outdoor Social Events, Birthday Parties, College Fundraisers, Greek Life Functions, and tons more.